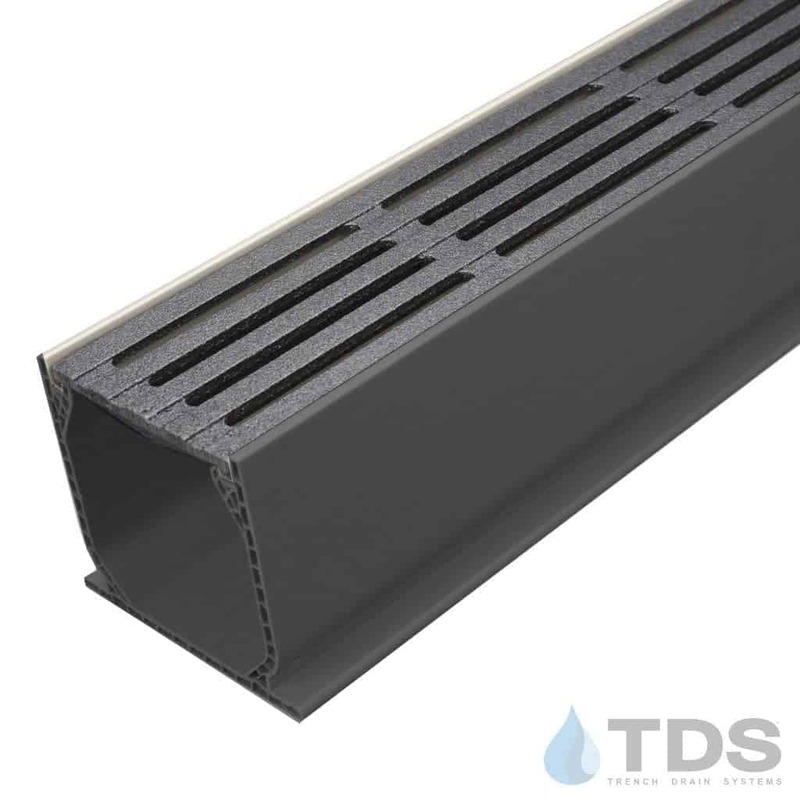 NDS® Mini Channel drainage kit with ‘Made in USA’ decorative cast iron grates. 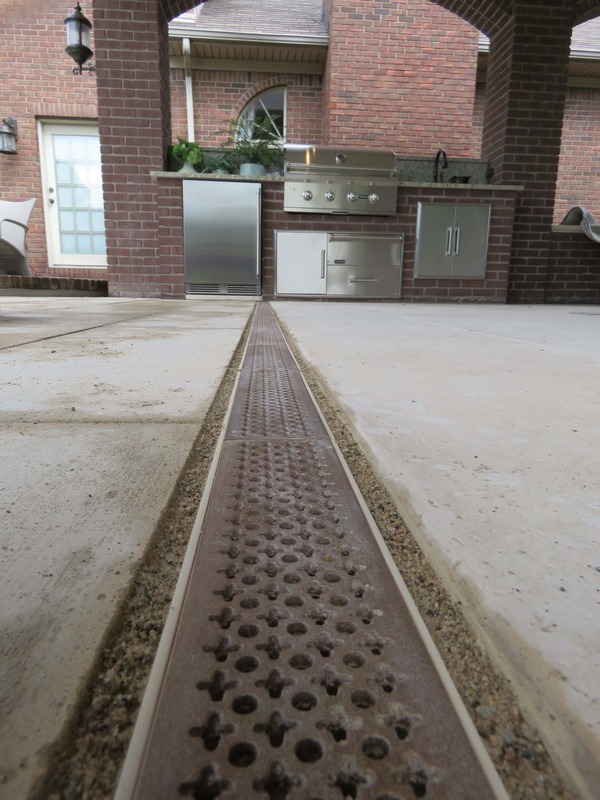 This complete trench drain system features decorative cast iron trench grates in the heel proof Que pattern. 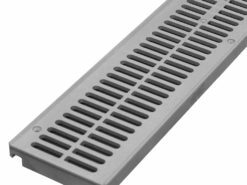 Que is a transverse slotted grate – slots run in the same direction as the channel. 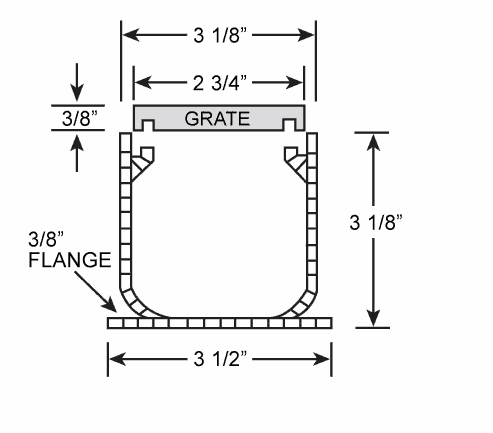 Each Que grate is 11-7/8″ long.